WATERLOO, ILLINOIS – (September 12, 2018) - The Tuff Hedeman Bull Riding Tour announced today the list of top competitors and public appearance schedule of the Waterloo Optimist Blue Army Bull Bash held annually at the Monroe County Fairgrounds on Saturday, September 15, at 7 pm. Fans can meet greet and take selfies with bull riding icon, and four-time World Champion Bull Rider Tuff Hedeman on Saturday at 10 am until noon at the Waterloo Rural King and again at the fairgrounds immediately following the bull riding. The 2018 Bull Bash, sanctioned by the Tuff Hedeman Bull Riding Tour (THBRT), is chocked full of hopefuls squaring off with the veteran riders. The list of talented bull riders are all headed to Waterloo this weekend in hopes of pocketing the largest purse and final prize package of the Wicked Rank Midwest Swing. Rookie bull rider Brandon Davis will be riding for the THBRT Midwest Swing Champion title at the 8th Annual Blue Army Bull Bash in Waterloo, Illinois. Davis on 231 Fire and Ice (Hurst and Baker) in Huron, SD. Hedeman, who for the last 23 years has piloted the PBR and CBR, recently formed the pro bull riding tour in his name. The Pro Rodeo Hall of Famer is making the trip to Waterloo for the Tuff Hedeman Breakout Series fourth and final event of the 2018 Wicked Rank Midwest Series Swing, a division of the THBRT. In addition to lucrative prize money, bull riders competing in Waterloo have qualified for the one-night performance, and the winner will be crowned the Series Champion and receive a check, Custom trophy saddle, and engraved Hy O Silver trophy buckle along with an invitation to compete at the next top tier nationally televised Tuff Hedeman Bull Riding Tour event. 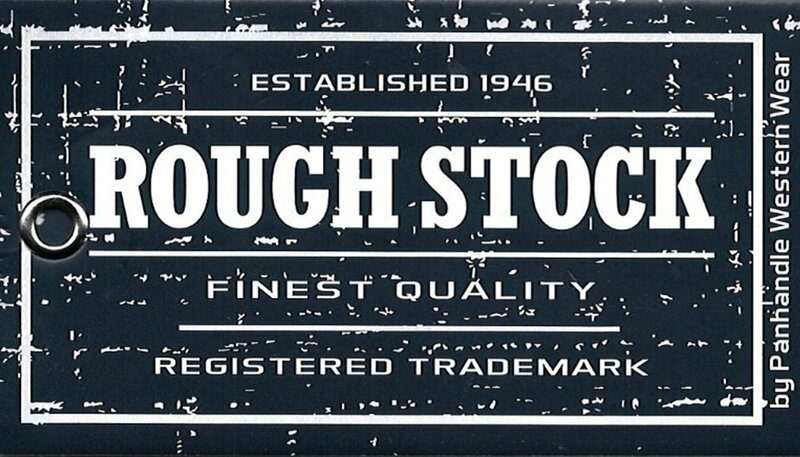 World Champion Bull Team Owners Mike Rawson and Jim Probst will have Louisville Slugger in Waterloo. Immediately following the action is the Blue Bash After Party with live music by The Avery Hill Band and an opportunity to meet Tuff Hedeman and the bull riders. The THBRT is packed with talented riders who power the competitive series on the road throughout the year. The finale of the Tuff Hedeman Breakout Series tour offers young, new, and possibly unknown bull riders the opportunity to compete and be spotted and invited by Tuff Hedeman to one of his top-tier televised tour events. 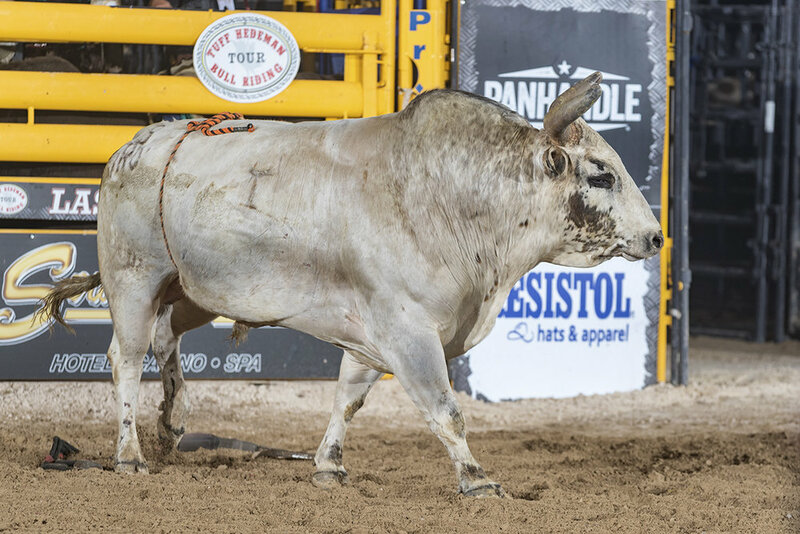 “Fresh faces packed with talent, consistent veteran riders, and aan wesome pen of bulls from some of the best bull men in the business is what the fans can expect to see in Waterloo,” said Hedeman. The Midwest Swing produced by Matt Noble of Next Level Bull Riding had its own dogfight in the trenches this season with Matt Palmer, Chelsea, Okla., in the lead. It is a close race, and any of the top ten have a shot at winning the Series finale and taking home the title. Riding on confidence instilled from two wins on the Midwest Swing, the adrenaline, points, and the bucks keep coming for nineteen-year-old Matt Palmer from Chelsea, Okla., who missed the first event in Woodstock, but knocked out a perfect 2 for 2 in the second and third tour stops in Belvidere and Morrison. Palmer leads the series with a total of 356 points on four bulls and is the only rider entering the final event with four bull scores. “I’m healthy and ready to get on,” said Palmer. Behind Palmer sits Brandon Davis, Cabot, Arkansas, with 266.5 points, or one 89.5 point ride off the Series lead. Davis has ridden three bulls and competed in all three events. A close 5.5 points behind Davis ranks Michigan cowboy Hunter Ball, who sits third with 260.5 points. Davis, Palmer, and Ball, who all were invited to compete in the recent Tuff Hedeman Tour event in Huron, all have their sights set on winning the Midwest Swing and re-joining the top tier tour event schedule that kicks off again in January. But the Midwest Swing series has a few veteran riders who will no doubt be hard to beat. US Army veteran and 7 year pro Juan Alonzo is on the buck order as is Corey Atwell. Producer Matt Noble doesn’t want anyone to count out Bubba Greig who stepped up twice to get on the bounty bull when Palmer was injured. 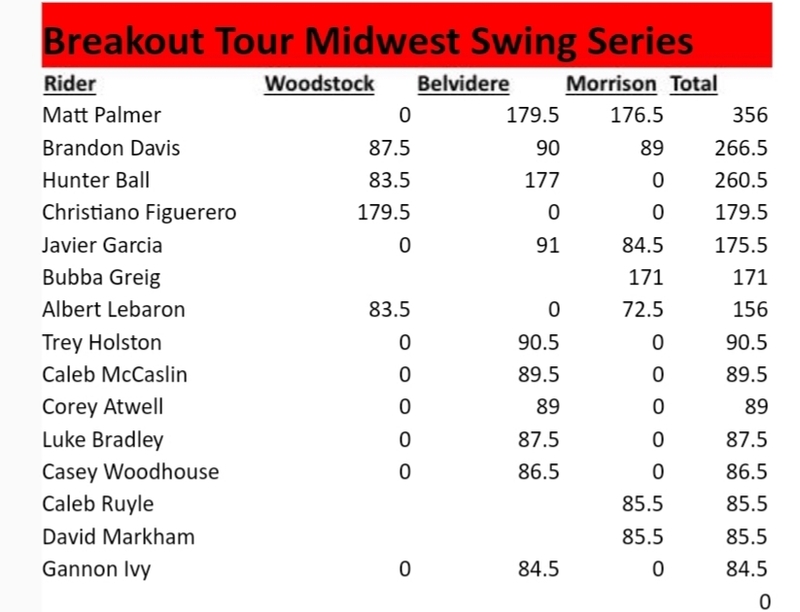 According to Noble, the "breakout" cowboy athlete to watch is Hunter Ball who went two for two including a 90 point ride in Belvidere and he also split second and third in Woodstock, the first stop on the Wicked Rank Midwest Tour. Caleb McCaslin is on the possible “next big thing” radar as well. McCaslin who travels with leader Matt Palmer is from Jones, Okla.
“I have been impressed with Hunter who was second in Belvidere, he's an up and coming bull rider with a lot of talent, and he's making big bull rides, and the fans will get to see him in action in Waterloo” continued Noble. This year's event festivities will begin at 4:00 pm when the doors open. There will be plenty of concessions available including food and drink for young and old! The pro bull riding action gets underway at 7:00 pm and expected to conclude at 9 pm. Approximately 40 bull riders will face-off with 40 selected bucking bull opponents to win the lion's share of the $10,000 added prize money, a trophy saddle, and custom Hyo Silver buckle. "You don't need a hat, or boots, or any knowledge of the sport, it's a family friendly event with great affordable food, horseback rides, and activities for the kids to do, and a top-level bull riding," said Optimist Event Chair and former World Champion Bull Team owner, Jim Probst. The Breakout Series is known for its dogfights to the finish line, and although the Championship comes with a check from Tuff Hedeman in Waterloo, it will live on with many legendary stories of the launching of several bull riding careers. With the surge of new cowboys knocking on the THBRT door, barrel man entertainer Josh Foster, and bulls arriving from some of the best-known bull men in the business, the Blue Army Bull Bash will be a spirited event. Ticket Information: http://www.waterlooILOptimist.org or call 618-477-7240. Tickets also available: Waterloo Rural King, Waterloo Schnucks, Wm Nobbe John Deere, JVs Bar & Grill, Outsiders Bar, First National Bank of Waterloo most Branches & Carstar Collision Center in Red Bud. Event Chair: Jim Probst – email jprobst@wmnobbe.com or 618-477-7240 or Matt Noble, matt@nextlevelbullriding.com or call 815-651-6661. Tuff Hedeman: Interview requests or information contact Leigh Ann Schroeder, Email - tuffhedemanpr@gmail.com – 940.902.1112.